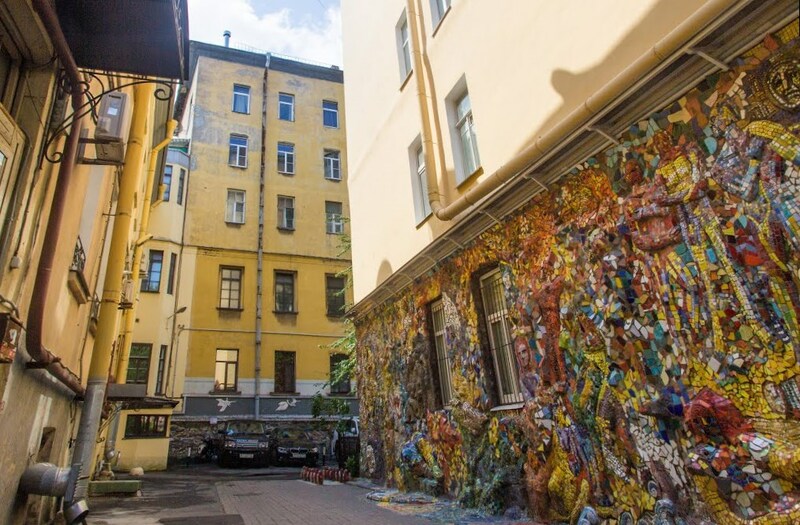 The mosaic courtyard on the embankment of the Fountain river, 2 is the most atmospheric courtyard in Saint Petersburg. Benches, walkways, walls of the houses, sculptures and a sundial are decorated with colourful paintings made in mosaic technique of colored glass. Mosaic work since 1984 was done for the absolutely ordinary courtyard and eventually it has become a special museum under the open sky. The place of interst is created by the students of 'Small Academy of Arts' together with the Honored artist of Russia Vladimir Vasilievich Lubenko.